Scuba starts a new series of interviews with legendary Scottish hip hop artists and delves into the history of the scene up here. 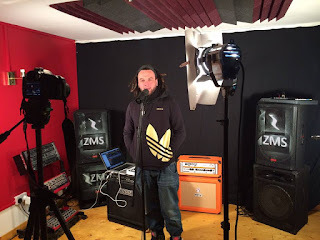 This time around he chats to Southside Deluxe head honcho, 2 Tone Commitee member and all round stalwart of Hip Hop up in here in Scotland Mistah Bohze. We chat about the early days and struggles of recording, his early breaking days, his eventual lead in to music and the drama's surrounding that. We then take a chance to talk about some of his more recent music too. If you're new or just happen to be a fan of Hip Hop in this small country, add this to your collections. Mistah Bohze - Oh Noh!